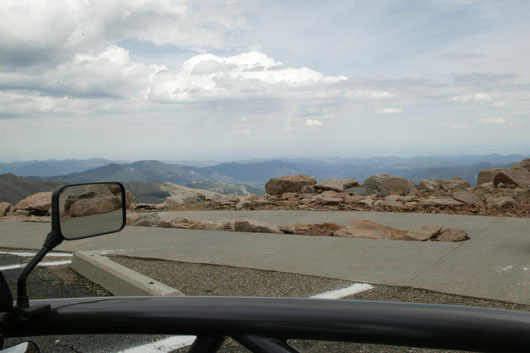 Today the car and I climbed Mount Evans (to be honest, the car did all the work). 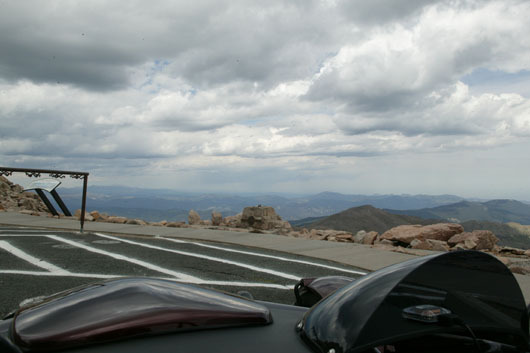 Mount Evans is the highest paved road in the US at 14,260 feet at the summit. 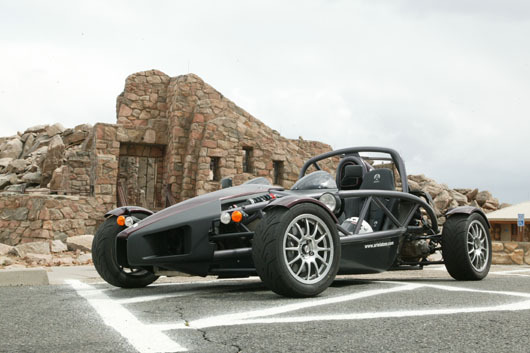 So my Atom has now been on both the highest and lowest roads in the US. 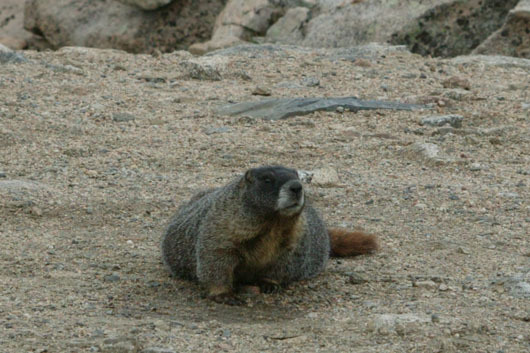 This little fellow is a yellow-bellied marmot. 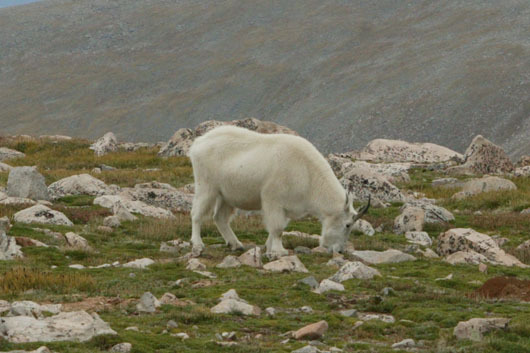 They’re all over, and love to mug for the camera. 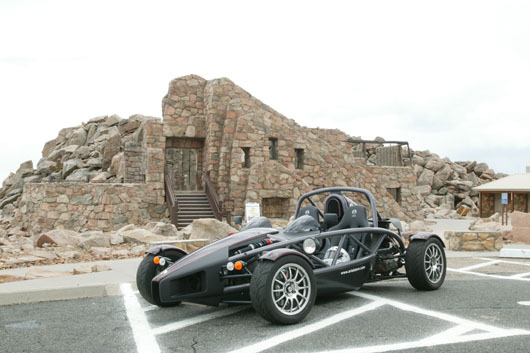 This entry was posted on Tuesday, August 22nd, 2006 at 10:01 pm	and is filed under The Trip. You can follow any responses to this entry through the RSS 2.0 feed. You can skip to the end and leave a response. Pinging is currently not allowed. Way to go Terry. 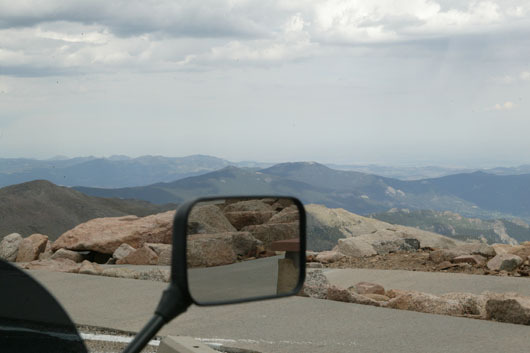 So is it the highest Atom in the World or just in the US. SwissAtom may have at you. Regardless it is a great many firsts for you this trip and I’m just green as all heck sitting here living vicariously through your accounts. Drive safe, keep the reports and pictures coming. Wow, Terry. You are really doing it. Are you tired out? Is the Atom wearing on you? 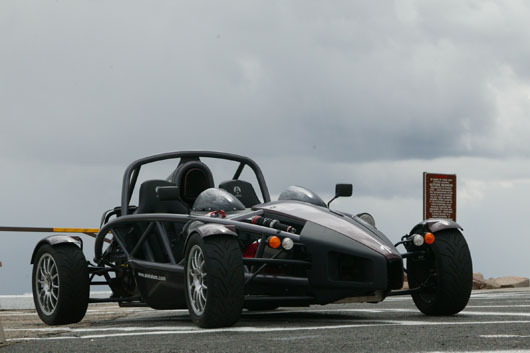 What changes to the Atom have you been able to make to make your trip more comfortable or, at least, more bearable? Before I left Ashland, Brammo made some adjustmnts to the Atom to make it more confortable for me – moving the pedals forward, adding some padding to the seat, and removing the dead pedal so I can tuck my left foot under the pedals instead of folding my left leg up. 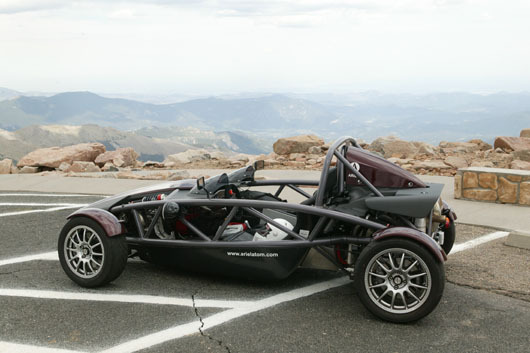 With those changes, the Atom is pretty comfortable, though I do get out every 100 miles or so to stretch, or I get stiff from sitting in one position for too long. I’ve had a good deal of rain these last few days, but it is mostly a pattern of 10 minutes drizzle, 10 minutes downpour, 10 minutes drizzle, and then half an hour or more of sunshine. That’s likely to continue through this week. If you don’t mind getting soaked and then drying out, it isn’t bad, though visibility (with the helmet, etc.) 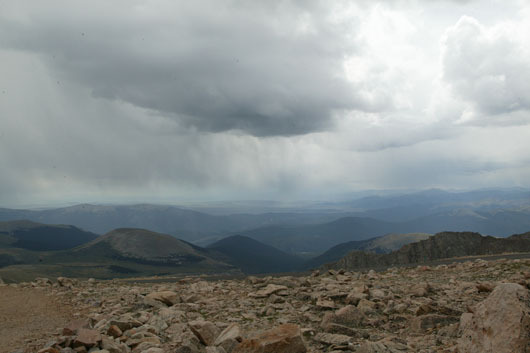 isn’t great when it is in downpour mode. In view of your experience so far, if you lived in the really hot places of the US (or maybe the hot places of the world, like the Middle East, the Arabian Penninsula (sp? ), or Australia), how vital (i.e., how necessary to _sustaining life_) would it be to have air conditioning for your Atom? Any CO Atom owners want to meetup this week?